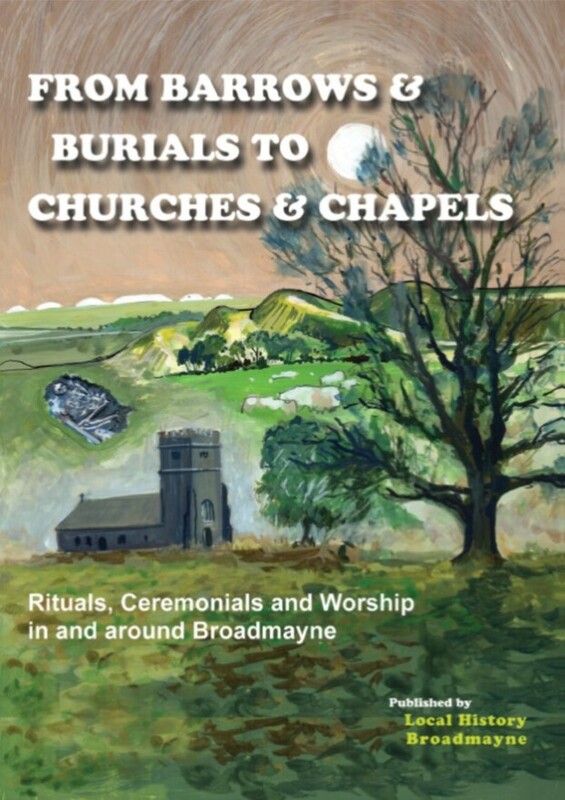 This association was formed in 2009 by a group of people who wanted to discover the history of Broadmayne, as there appeared to be little documentation except for the churches. The group discovered local evidence of World War 2 when they walked Knighton Heath Wood where there had been an important airfield. This theme was taken forward with the national celebrations of the D-Day landings when in 1944 hundreds of American soldiers left their billets in Broadmayne for the battle. Local History Broadmayne is preparing to mark the sites of the camps with information plaques round the village and West Knighton. This is being done in conjunction with the curator of the D-Day Museum at Portland. A walk in the Puddletown Woods showed a possible ‘sand trail’ going through the woods to the brick works in Broadmayne. A local expert on brick making then led a village walk showing the old kiln at Conygar. This was followed by a tour of the deserted medieval village at Friarmayne. The chief County Archaeologist also led a walk round the important barrows at Came. 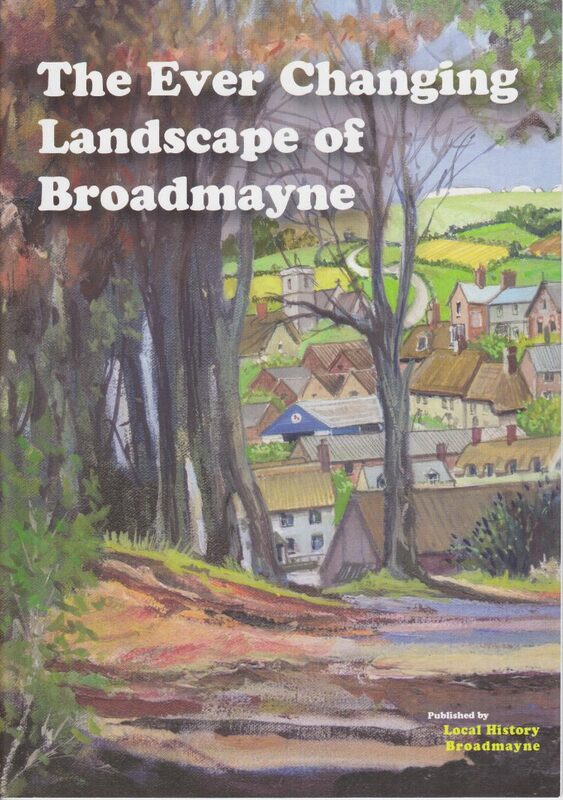 Through the county’s ‘South Dorset Ridgeway Project’ recordings of Broadmayne’s villagers were made. Also, a pictorial ‘Village Map’ was created – the group being fortunate in having a local artist as one of its members. An aim of Local History Broadmayne has been to share with the village the findings of the group’s research. 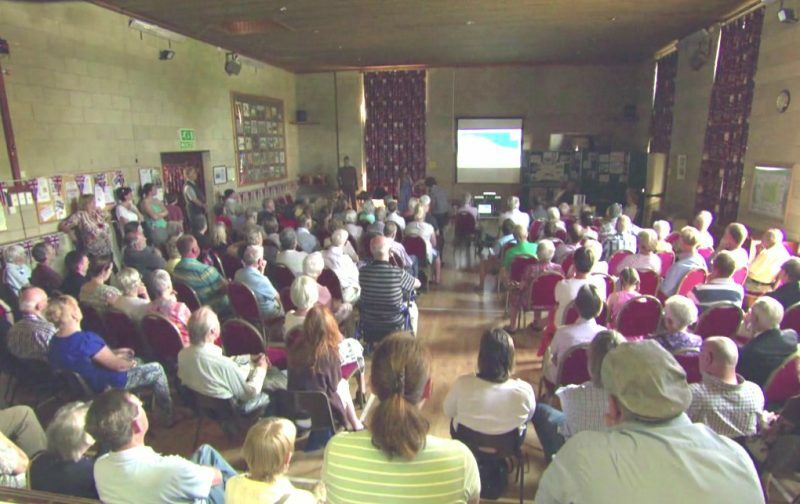 To that end presentations have been made in Broadmayne Village Hall, usually two events a year, with the hundreds of pictures shown proving very popular. These pictures, illustrating the talks by group members, have been taken from old photos, press cuttings, maps and documents. The pictures have been meticulously transferred to ‘computerised’ format by group members. 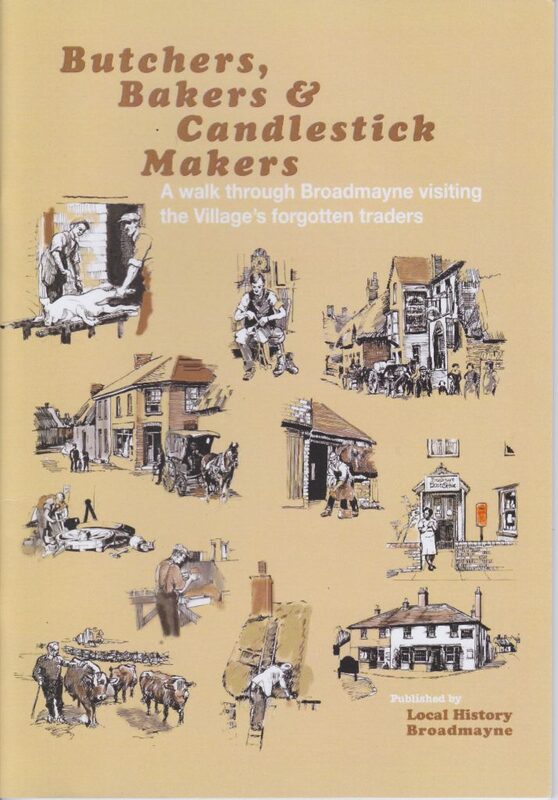 Subjects have included ‘Broadmayne at War’, ‘Butchers, Bakers and Candlestick Makers’, ‘From Barrows and Burials to Churches and Chapels’, ‘The Historic Landscape’, ‘Broadmayne For Sale’, ‘Portraits From The Past’, ‘High Days and Holidays’, and ‘Growing up in Broadmayne’. There have been outside speakers from time to time on such topics as the Broadmayne watercress beds, the development of Knighton Wood, water, and local archaeology. 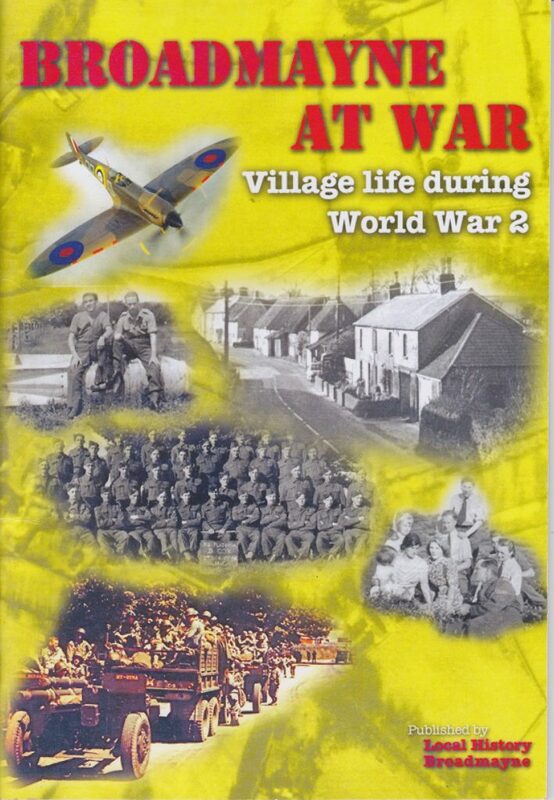 The subjects presented seemed to get good crowds of villagers, and the group thought that booklets based on the presentations in the Village Hall could be made for a lasting record of the findings. The first of these was ‘Broadmayne at War’, the others refer to a walk through Broadmayne’s streets in the early 20th century, the relevance of ritual and worship through the years, and the changing landscape of the area. These booklets are all on sale at the Village Stores. One of the group’s members very kindly gave permission for a ‘dig’ on his land. An experienced archaeologist led this project with reports of the fascinating treasures unearthed given in the Village Hall. Members had little experience of archaeological digging, but everyone learned a lot, though the strong worked hardest with the heavy initial removal of soil. The much appreciated contributions of a villager’s aerial photography and a geophysical survey helped with the discoveries. Local History Broadmayne is always interested in hearing from members of the public who have pictures, documents or stories about the village at any stage of its history.